I love the way 2009 ended and 2010 started for us. Some really, really great couple of weeks. Since every post on a photo blog needs a photo (it doesn't feel right otherwise ;), here is the latest freebie I've been working on, for the photographers out there. It should be ready for download before the end of this week/weekend. I'll keep you posted. 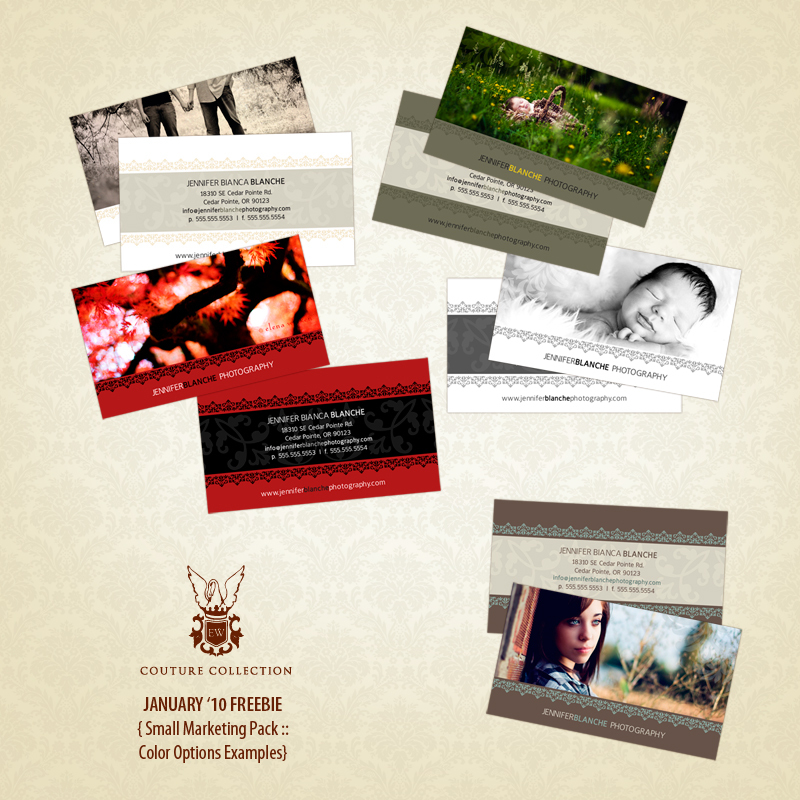 So here are the free templates for the month of January (images of them, anyway) - a cute little marketing pack, fully customizable. To sign up for the monthly freebies and find out when the e-store will go live go here.